The 29th (Worcestershire) Regiment of Foot was, from 1694 to 1881, an infantry regiment of the British Army. It now forms part of the Mercian Regiment. The regiment was raised in 1694 by Colonel Thomas Farrington, an officer of the Coldstream Guards during War of the Grand Alliance known in America as King William’s War. It was disbanded in 1698 after the Peace of Ryswick and reformed in 1702 for the War of the Spanish Succession, also known as Queen Anne’s War. The regiment served under John Churchill, 1st Duke of Marlborough at the victorious Battle of Ramillies in 1706 against the French in what is now Belgium and in the siege of Ostend. In 1727 the regiment saw action at Gibraltar. In 1745, the Regiment was were sent to Fortress Louisbourg on Cape Breton Island. The following year, the 29th Regiment was in the Port-la-Joye Massacre during King Georges War. The Canadiens and Mi’kmaq warriors massacred a significant portion of the regiment, in part, because they were unarmed. The battle led to an order that all officers in the regiment must always be armed, thus earning their first nickname as the Ever Sworded due to the swords the officers are required to wear even when off-duty a tradition still in effect today as the orderly officer is still armed even at the officers mess. In 1749, the regiment was at the site of Halifax, Nova Scotia, where the soldiers cleared the land for the new town during Father Le Loutre’s War. Until the middle of the eighteenth century British Army regiments were known by their colonel’s name. This led to frequent changes of title. In 1747 regiments were required to establish their precedence, with each unit taking a numerical “rank”. The process was completed in 1751 when a royal warrant formally substituted numbers for the names of colonels. Accordingly, Colonel Peregrine Hopson’s Regiment became the 29th Regiment of Foot. In 1759 Admiral Edward Boscawen gave to his brother Colonel George Boscawen 10 black youths he acquired in the capture of Guadeloupe from the French in the same year. These young men were released from slavery and joined the regiment as drummers, a tradition the regiment continued until 1843. These men received the pay of a corporal and if they survived to retire received a pension from the army. In 1768 the 29th along with the 14th Regiment of Foot were sent to Boston, Massachusetts, where on the evening of 5 March 1770, men of the 29th Grenadier Company under the command of Captain Thomas Preston took part in the Boston Massacre. Five colonists died during the riot in front of the Boston customs house. Due to the incident, the regiment earned the nickname the Vein Openers for drawing first blood in the American Revolution. The men involved were tried for murder and were defended by John Adams (who later became President of the United States). Two of the men involved, Hugh Montgomery and Matthew Kilroy, were found guilty of manslaughter and branded on the thumb. Captain Thomas Preston and the other men involved were found not guilty. 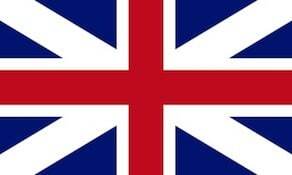 The 29th left Boston in 1771 for British controlled Florida before returning to England in 1773. Early in the spring of 1776 during the start of the 2nd year of the American Revolutionary War, the 29th Regiment of Foot under the command of Lt. Col. Patrick Gordon was sent with other British regiments to relieve the siege of Quebec City by an American army. On 25 July Lt. Col. Patrick Gordon was shot and mortally wounded by Benjamin Whitcomb of Whitcomb’s Rangers, Lt. Col. Thomas Carleton of the 20th Regiment of Foot was then promoted to command the 29th. After pushing the American army down the St. Lawrence River at the Battle of Trois-Rivières, men from the battalion companies served on board the ships of General Guy Carleton, 1st Baron Dorchester in the Battle of Valcour Island on Lake Champlain on 11 October 1776. In 1777, the Light Infantry Company and the Grenadier Company were with Lt. General John Burgoyne as he headed down from Montreal to Saratoga. Both the Light Infantry Company and Grenadier Company saw action at the Battle of Hubbardton under the command of Brigadier Simon Fraser, as part of his Advance Corps on 7 July 1777. Both companies surrendered with the rest of Burgoyne’s Army after the defeats at Battle of Freeman’s Farm and Battle of Bemis Heights in September and October 1777. The other eight Battalion Companies remained in Canada and took part in raids and small battles along the Vermont and New York frontiers during the rest of the American Revolution led by Major Christopher Carleton and Lt. John Enys. In 1781 the 29th was linked to the county of Worcestershire in England, giving them a recruiting area and home. The 29th Regiment returned to England in 1787. For more details on the raids along Lake Champlain and the upper Hudson Valley see Carleton’s Raid (1778) and Burning of the Valleys. During the winter of 1791 Princess Augusta presented the regiment with the music of a march of her own composing, which received the name of ‘The Royal Windsor’. In 1881 it became by authority the Quickstep of the four battalions of the Worcestershire Regiment. The march, with its impressive drum cadence recalling later American marches, appears to have been composed by HRH Princess Augusta at Windsor Castle under the tutelage of Lord William Cathcart, an officer of the 29th who became Colonel of that regiment in 1792. Lord Cathcart was a talented musician and, while previously serving in the Coldstream Guards, was influential in the development of the band of that regiment. It was he who brought the talented musician Christopher Eley, composer of The ‘Duke of York’s March’ from Hanover to London. The march became popular in Russia and it has been suggested that Lord Cathcart and the Princess used material of Russian origin. It is true that Lord Cathcart’s father was ambassador to St. Petersburg and that his son visited Russia in 1771, but Russian music was not at that time held in high regard even in Russia itself, where the court composers were almost all foreigners. It is more likely that Lord Cathcart took the composition to Russia in 1812, when he proceeded to Russia as ambassador and military commissioner. In the latter capacity he served with the headquarters of the allies throughout the War of Liberation (1812–1814); his success in the delicate and difficult task of maintaining harmony and devotion to the common cause amongst the generals of many nationalities was recognized after the war by his elevation to the earldom (July 1814). He then went to St. Petersburg, and continued to hold the post of ambassador until 1820, when he returned to England. He died at his estate near Glasgow on 16 June 1843. The regimental badge of the 29th and later of the Worcestershire Regiment show the influence of the Coldstream Guards on the regiment. The Coldstream Guards and the 29th are the only two regiments to have the elongated star and garter of the Order of the Garter as their regimental badge with its motto “Honi Soit Qui Mal Y Pense” translated “Shame be to him who evil thinks” earning a third nickname The Guards of the Line. On 31 August 1782 a royal warrant was issued conferring county titles on all regiments of foot that did not already have a special title. The regiment was retitled as the 29th (Worcestershire) Regiment of Foot. The change was an attempt to improve recruitment, but no depot was established in the county, and Worcestershire recruits were liable to serve in any regiment. It was not until 1873 that a practical system of recruiting areas based on counties was instituted. The 29th Sub-District, consisting of the counties of Herefordshire and Worcestershire was created, with headquarters at Norton, three miles from the city of Worcester. The Worcester barracks became the depot for the 29th Foot along with the 36th (Herefordshire) Regiment of Foot and the militia of the two counties. During the Napoleonic Wars the 29th Regiment of Foot was with the Duke of York in Holland in 1799 and later with the Duke of Wellington’s Army in Spain and Portugal from 1808 to 1811. On 1 June 1794, the 29th served as marines aboard the Royal Navy ships HMS Brunswick and HMS Ramillies during the naval battle known as the Glorious First of June under Admiral Richard Howe against a French Fleet in the North Atlantic Ocean. During the fight The HMS Brunswick sunk the French Ship of the Line Le Vengeur du Peuple and disabled the Achille. The regiment was awarded a Naval Crown dated 1 June 1794 for its participation in the engagement. At the Battle of Roliça on 17 August 1808 the 29th along with the 9th Regiment of Foot assaulted a French position on the heights for over 2 hours until the French lines broke when the flanking British units attacked. Colonel Lake was killed with another officer, two other officers were wounded and 177 men were killed or wounded along with 25 captured. Four days after Roliça on 21 August 1808 the Battle of Vimeiro was fought. Here the 29th held off a French attack giving time for the 71st Regiment of Foot and the 81st Regiment of Foot time to regroup and rejoin the battle. on 10–11 May 1809 the Battle of Grijo was fought. Fought 27 and 28 July 1809 the Battle of Talavera saw the 29th and the 48th Regiment of Foot with a composite battalion attack three French regiments (24th Line, 96th Line and the 9th Light) on the hill called Cerro de Medellin. After the composite battalion broke, the 29th — with a single volley and a bayonet charge — drove the French from the hill on the evening of 27 July, the French 9th Light Regiment receiving the brunt of the assault. On the morning of 28 July, massed French artillery fire hit the hill followed by an assault by the French 24th Line and 96th Line Regiments. The French regiments (6 battalions total) advanced in column and the British defended the hill in a line formation. The firepower of the line where all members could shoot soon overwhelmed the French attack. The 29th captured two French colours in the bayonet charge then drove the French regiments off the field. 16 May 1811, the Battle of Albuera is perhaps the most celebrated battle honor of the 29th Regiment. Ensigns Edward Furnace and Richard Vance gave their lives to save the 29th Regiment’s colours during this battle. After suffering heavy casualties at the Battle of Albuera the 29th was sent back to England to recruit more men. Of a total strength of 31 officers and 476 other ranks the 29th lost 17 officers and 363 other ranks killed, wounded or missing at Albuera. The 29th Regiment of Foot was commanded by Lieutenant Colonel Daniel White at the Battle of Albuera. It formed part of Major General Hoghton’s Brigade. Lt. Col. White died in Elvas, Portugal on 3 June 1811 of wounds received in the battle. His stone was installed in the British Cemetery, Elvas in 2003 upon the discovery of his obituary in the Gentleman’s Magazine. In 1814 the 29th was dispatched back to Nova Scotia, Canada during the War of 1812. The regiment did not see any major action while stationed in North America. They were quickly recalled back to Europe in 1815 to face Napoleon during the Hundred Days campaign but arrived shortly after the Battle of Waterloo. In 1842 the 29th was sent to garrison the island of Mauritius in the Indian Ocean. From 1845 to 1846, the 29th Regiment of Foot fought in the First Anglo-Sikh War in the Punjab area of India at the final battle of the war at Sobraon the 29th and two battalions of Indian Sepoys twice unsuccessfully assaulted the sikh earthworks before finally breaking through on the third assault, 10 days later the British Army occupied Lahore ending the war. The friendship between the Regiment and the 10th Regiment of Foot is an old one. The Regiments refer to each other as “Our Cousins”. It is supposed to have arisen in the Napoleonic Wars, if not earlier, when the 29th and 10th Regiments many times fought side by side. The friendship was cemented in the Sikh Wars, when the two Regiments met in the captured trenches at the bloody Battle of Sobraon on 10 February 1846 where the 29th again suffered heavy casualties 186 men were killed or wounded out of a total of 552. From 1848 to 1849, the 29th served in the Second Anglo-Sikh War. The 29th was still in India and Burma until 1859 during which time the Indian Mutiny took place. A large detachment from the regiment helped to keep open the Grand Trunk Road during the mutiny. The 1873 linking of the 29th Foot with the 36th was followed by their amalgamation into a single regiment under the Childers Reforms. On 1 July 1881 the 29th Foot became the 1st Battalion, The Worcestershire Regiment, while the 36th became the 2nd battalion. On 17 December 1948 the Worcestershire Regiment was reduced to a single regular battalion, when the former 29th and 36th were merged. In 1970 the regular battalions of The Worcesters and the Sherwood Foresters (Nottinghamshire and Derbyshire Regiment) were merged to become the 1st Battalion, Worcestershire and Sherwood Foresters Regiment. In 2007 the Worcestershire and Sherwood Foresters was itself merged with the Cheshire and Staffordshire Regiments to form a new “large regiment”. The 1st Battalion W&SFR became the 2nd Battalion, The Mercian Regiment.